The Wi-Fi Alliance has opened up its certification lab doors and is now inviting vendors to submit their handsets and access points for Hotspot 2.0 certification. If they pass muster, they will receive the Alliance’s Passpoint stamp of approval, meaning they should be able to connect automatically to other Passpoint gear without futzing about with login screens or special software. The Alliance also revealed that access points, devices and software clients from BelAir/Ericsson(s eric), Broadcom (s brcm), Cisco Systems(s csco), Intel(s intc), Marvell(s mrvl), MediaTek, Qualcomm(s qcom) and Ruckus Wireless have all received their official Passpoint seals. In truth, all were pre-certified months ago since their equipment will serve as the test gear for all future Passpoint submissions. Passpoint/Hotspot 2.0 is the first step of many that will eventually integrate Wi-Fi hotspots seamlessly into the carrier’s mobile networks. Networks will be able to pass subscribers from cell site to hotspot and back again as Wi-Fi gets incorporated into the increasingly diverse array of small cells that will make up future heterogeneous networks, or HetNets. That’s still a long time coming though. Hotspot 2.0 only takes care of the discovery and authentication of carrier-owned or managed hotspots. If you’re an AT&T(s t) or an SK Telecom with tens of thousands of hotspots under your control, then Passpoint will be a boon, as certified devices will automatically connect to any carrier access point in range. 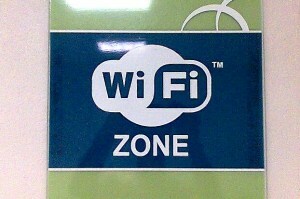 But there is a long list of capabilities that are subject to standards still in development: getting hotspots to cooperate with one another as part of larger coordinated network, direct hand-over between hotspots and seamless hand-off to and from cellular, direct integration of Wi-Fi into the carrier’s network and roaming between different Wi-Fi operators. Each iteration is the purview of a different standards body, and it could be several years before the full range of technologies is commercially available. After Passpoint complete its leg the baton gets passed Wireless Broadband Alliance. The WBA is in charge of the Next Generation Hotspot standard, which will begin integrating hotspots into carrier networks. The WBA said on Tuesday it would launch its next phase of carrier trials in the first half of 2013 using the first wave of Passpoint-certified gear. is there real free internet for labtop. dose this work in my area barbados mac. Its a start…glad to see this advancing at a somewhat rapid pace…I mean, compared to some other standards (::cough:: HTML ::cough::).